On 11th February at 10:30am, Balfour Beatty, Learn Live UK and Telford and Wrekin Council hosted a live interactive broadcast about the Telford Footbridge project. The new footbridge provides a link between Telford Town Centre and Telford Central railway station, replacing the existing red footbridge and cycle route, which is expensive to maintain, is too steep and does not comply with the Disability Discrimination Act. The project has been funded entirely by a Department of Transport grant that the Council bid for and won, and is now into its final stages of construction. The new bridge was lifted into position by one of Europe’s largest cranes in September and the new lifts and ramps have been constructed. Schools and colleges in Telford and across the UK were invited to join the project team for a live Q&A at 10:30am on 11th February and go behind the scenes at a complex engineering project in their area, observe engineering works and inspire their students to take up a career in the industry. The broadcast is aimed at students aged 14-18 and will last for around 30 minutes. The live chat is open next to the video player so feel free to leave us a question or comment and we’ll get it forwarded to the panel of experts in construction. Video player and chat for Telford LIVE! Alex currently works as a Trainee QS for UKCS in the Regional North & Midlands business. He’s been with Balfour Beatty for just over three years now and is based on the Telford Footbridge Replacement project. 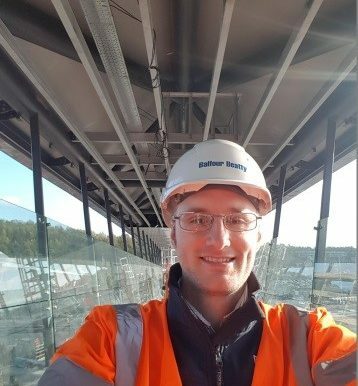 Prior to joining Balfour Beatty Alex worked with a QS and this inspired him to pursue a career in quantity surveying having seen the work they do. 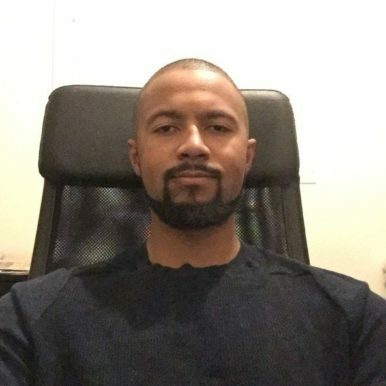 Alex’s responsibilities include getting involved in procurement and management of subcontractors, pricing and agreeing change and the forecasting and financial reporting for the project. He is four years into his five-year part time degree is really excited about completing his studies. 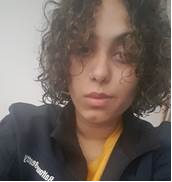 Nadeera is new to construction, with previous experience in various industries such as healthcare and fast-food after her A-levels. Having loved maths at school, dealing with people and solving problems, she always knew she wanted to be a quantity surveyor. In her role at the Telford Footbridge project, Nadeera deals with the procurement of subcontractors, while studying for her degree apprenticeship. For her, it’s a great way to learn as well as gain experience, as she can relate her studies to the work on site. Nadeera is also passionate about promoting the industry to women and wants do more of this as she continues to build her career with Balfour Beatty. Patrick’s civil engineering career began after completing a successful week-long work placement with Balfour Beatty, whilst studying full time towards a BTEC Level 3 in Construction and the Built Environment. Two weeks after having returned to college the Balfour Beatty project manager offered Patrick a permanent role on the Midland Metro Extension Project. He’s been with Balfour Beatty for nearly five years now and has worked on a variety of infrastructure projects including: Midland Metro Extension (Existing tram network extension, Birmingham), ‘Golden Square’ (Public Realm works in Birmingham Jewellery Quarter), ‘The M1 Bridge to Growth’ (Road Bridge crossing the M1 motorway, Leicester), ‘Sutton New Hall Cemetery Extension’ (Sutton Coldfield, Birmingham) and my current project ‘Telford Footbridge Replacement’ (Construction of two new footbridges, Telford). Patrick completed his BTEC and continued his studies in parallel with his work. Already having secured a HNC in Civil Engineering, he is now in the final year of his degree in Civil and Transportation Engineering. Patrick manages his studies alongside his responsibilities as a site engineer, as well as looking after his young family.